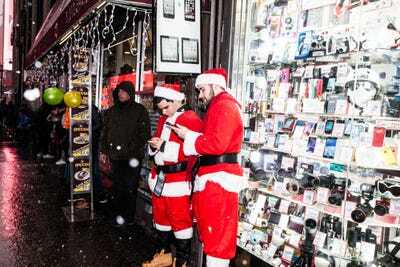 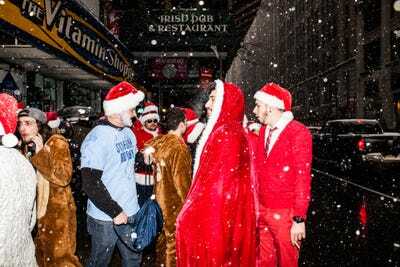 Sarah Jacobs/Business InsiderSantas wait in line to get into John Sullivan’s during SantaCon. 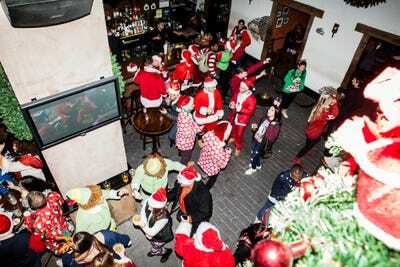 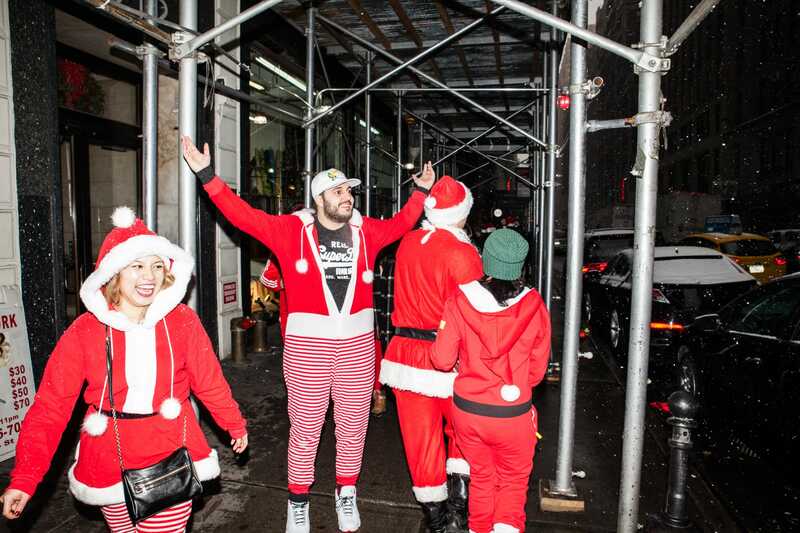 SantaCon is a massive bar crawl that takes place across the world each year. 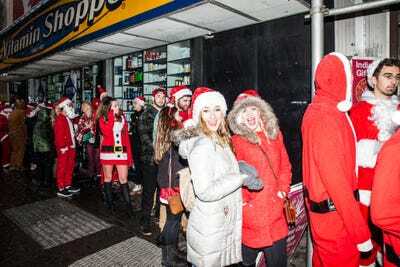 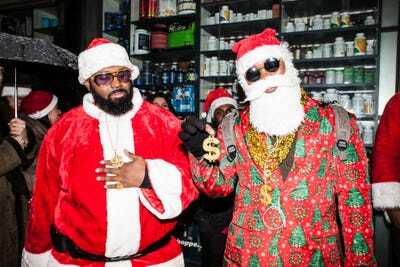 The event has become widely hated in New York, where drunken Santas crowd the city’s bars. 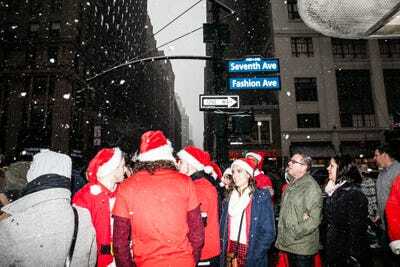 We visited Midtown in the afternoon of December 9 to see what this year’s festivities were like. 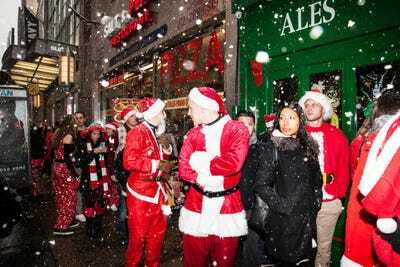 But, the event has taken on a life of its own, with an estimated 30,000 Santas attending – some even coming from other states to do so. 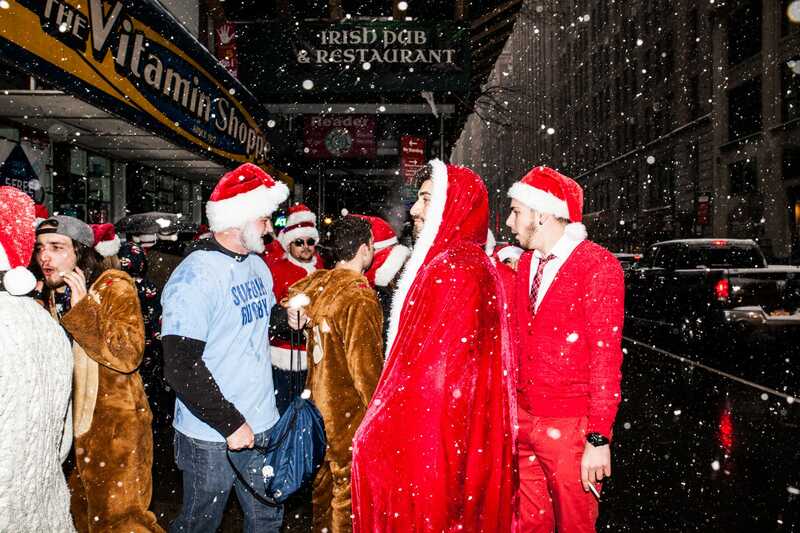 It has now become one of the most hated bar crawls in New York, often leading to public urinating, fights, and Santas passing out in subway stations. 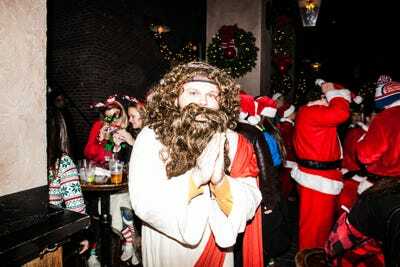 Chris Metts, an event coordinator at The Liberty, was excited that the crawl was happening in Midtown again this year. Metts told Business Insider that the bar orders more alcohol – specifically, Jameson and Fireball – in preparation. 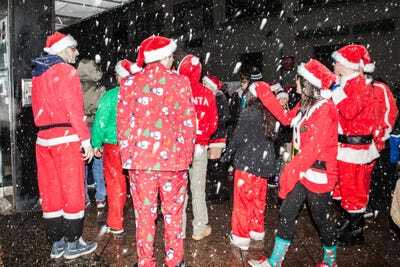 It started snowing in the early morning on Saturday, and although temperatures were in the lower 30s, it didn’t stop the Santas from enjoying themselves. 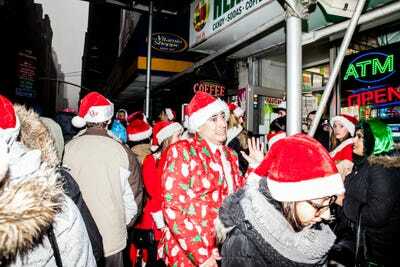 By 1 p.m., people were already in long lines outside of various bars, including John Sullivan’s Bar and Grill on 35th Street and 7th Avenue. Trying to coordinate your crew during SantaCon can be tricky. 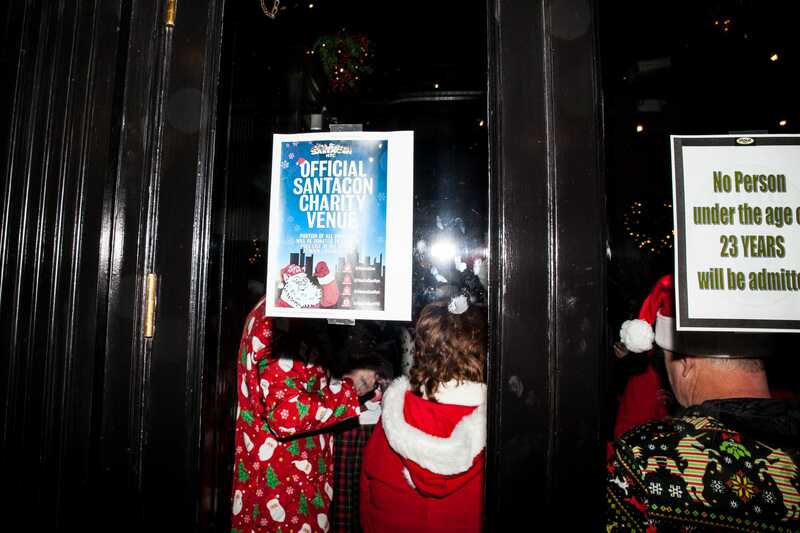 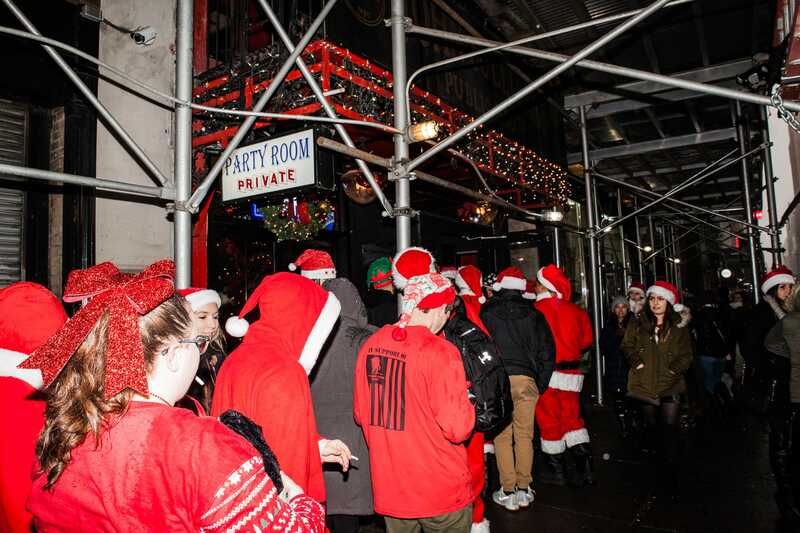 The official SantaCon Twitter handle was tweeting out suggestions on the bars to head to next. 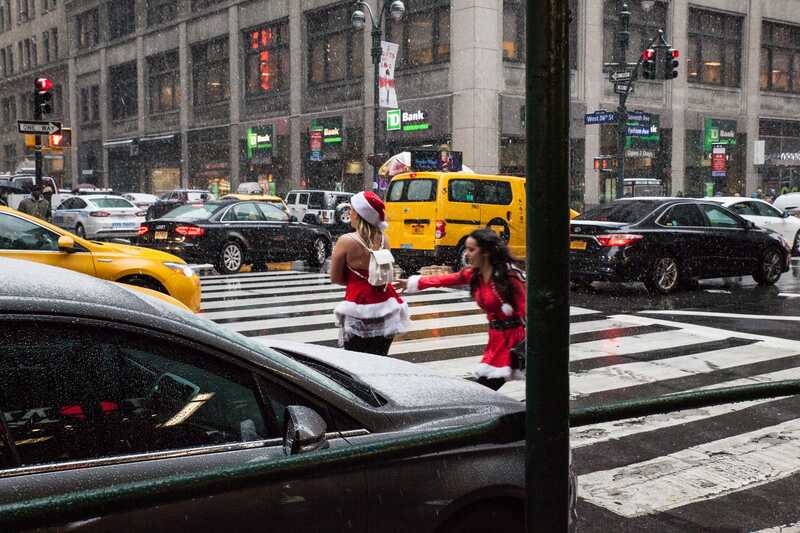 … and ready to pose for photos. 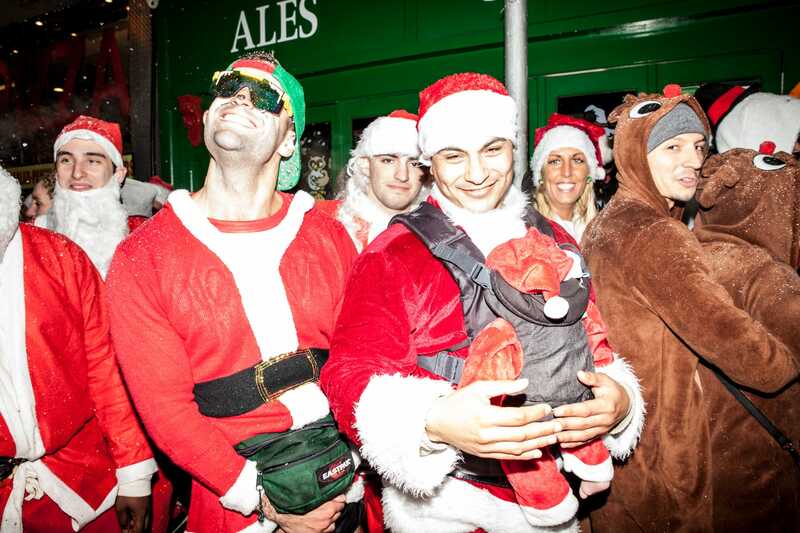 It was easy to spot who was a part of the bar crawl — and who wasn’t. 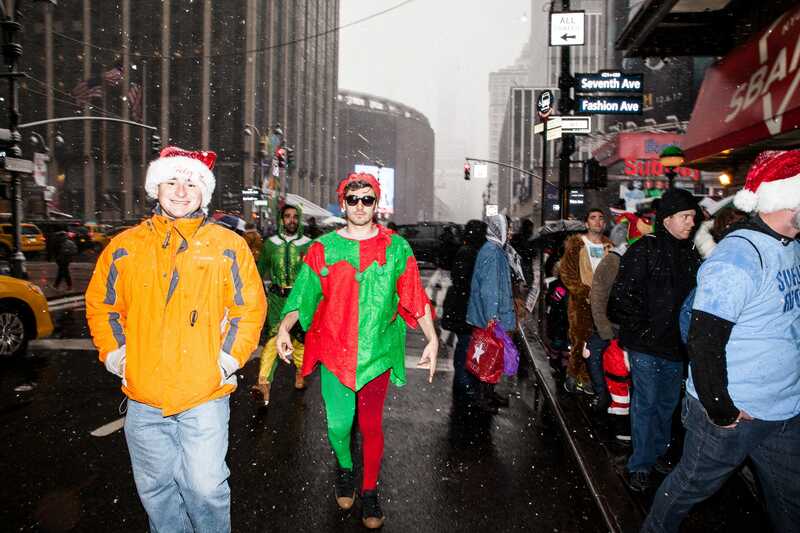 … while at least one person came as a Christmas-loving joker. … while this guy dressed as Jesus. 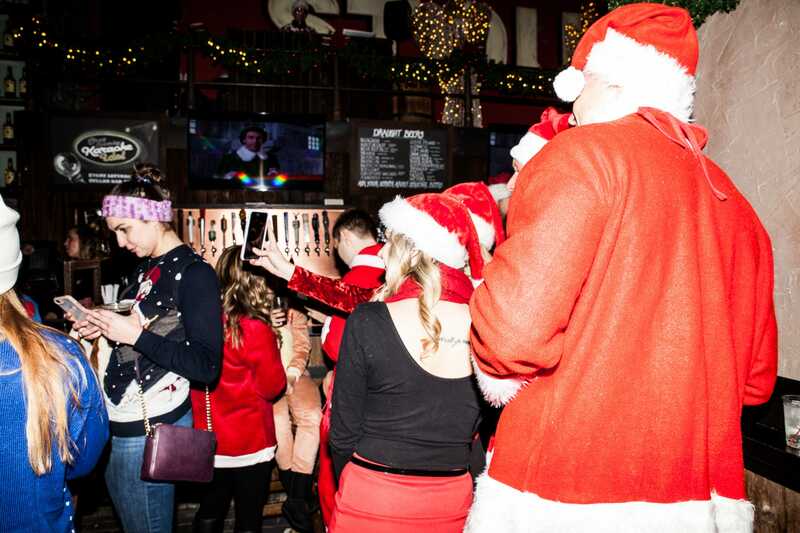 The bar Stout, on 33rd Street, wasn’t allowing anyone under the age of 23 to enter. Inside, drinks were already being spilled, and people were dancing to Christmas music. 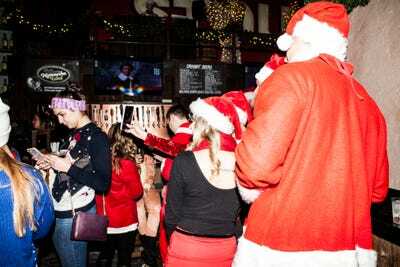 The bar was well-prepared with multiple people manning the door, five bartenders on staff, and people working the floor. And even as the snow started to come down harder, it didn’t discourage any Santas, and the lines stayed long.